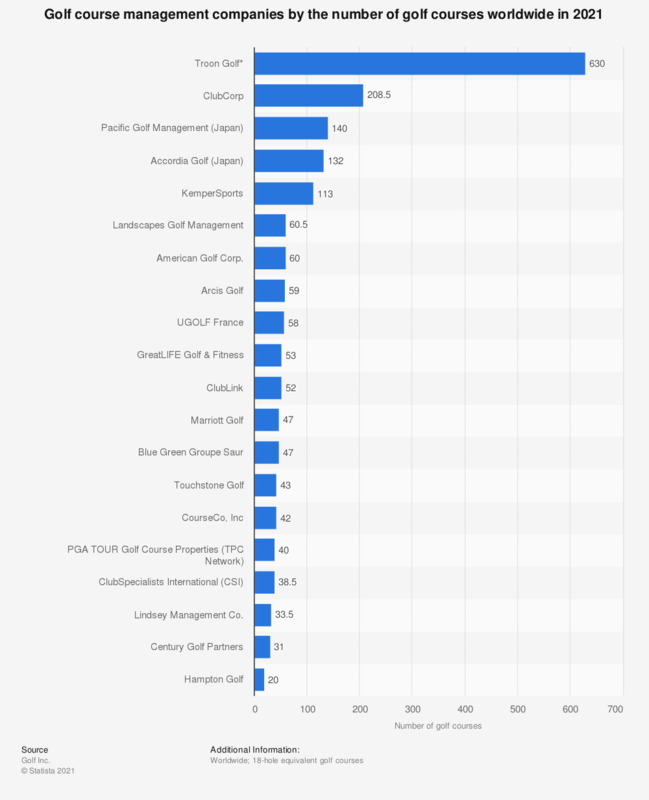 The statistic shows a ranking of golf management companies based on the number of golf courses* the companies operate in 2017. Troon Golf is the leading company with 270 golf courses in their portfolio. As of 2016, Rory Mcllroy was the highest paid professional golfer in the world, followed by Arnold Palmer and Phil Mickelson. Although Mcllroy earned most of his income off course, he earned around 17.5 million U.S. dollars on course that year.